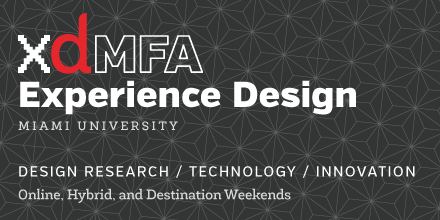 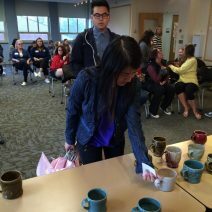 This March the Miami Graphic Design Program launched a tradition: a unique custom studio mug for each of our majors. 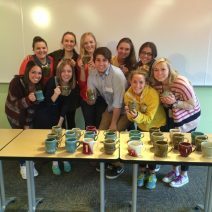 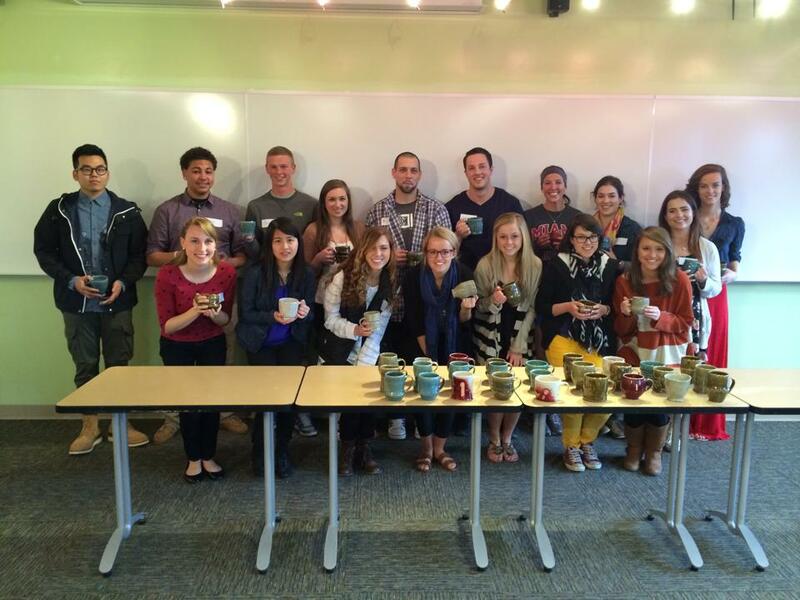 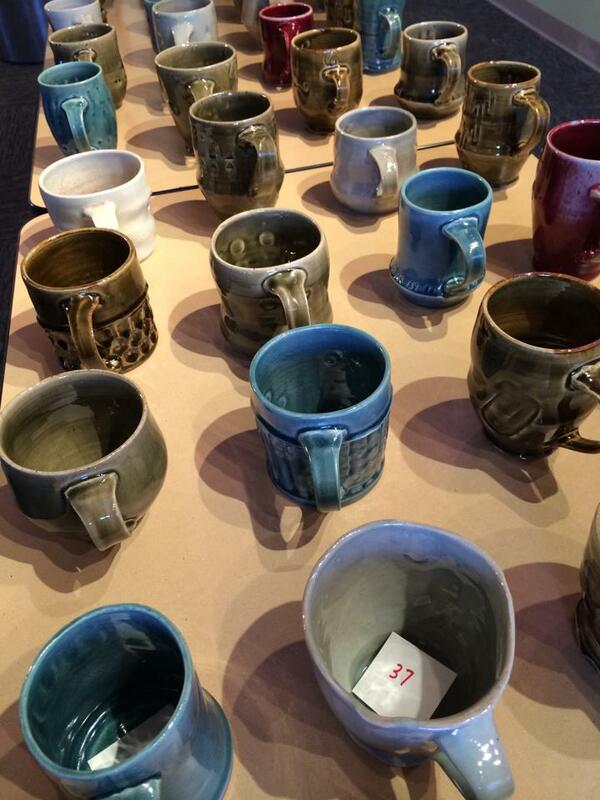 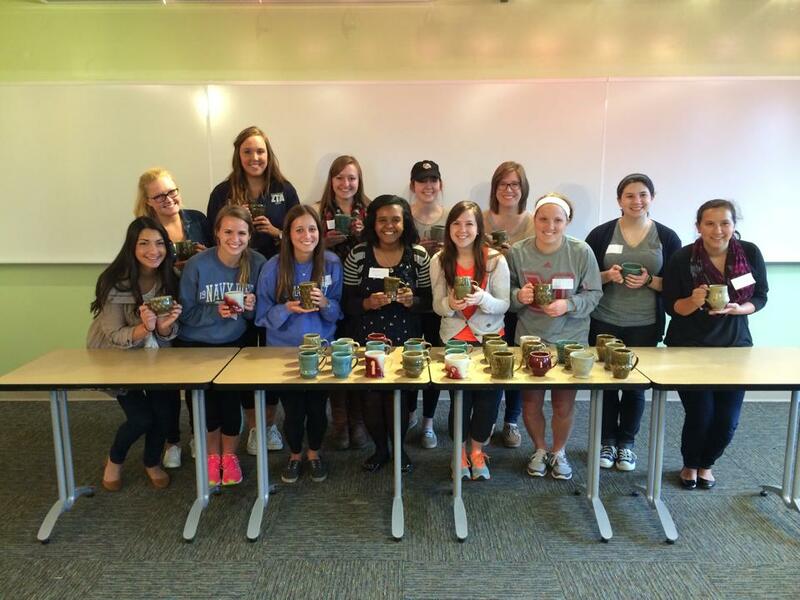 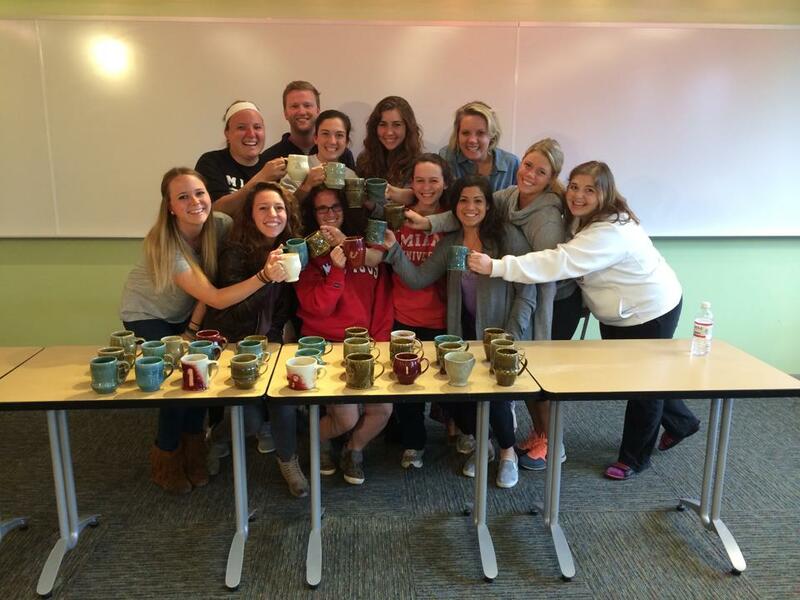 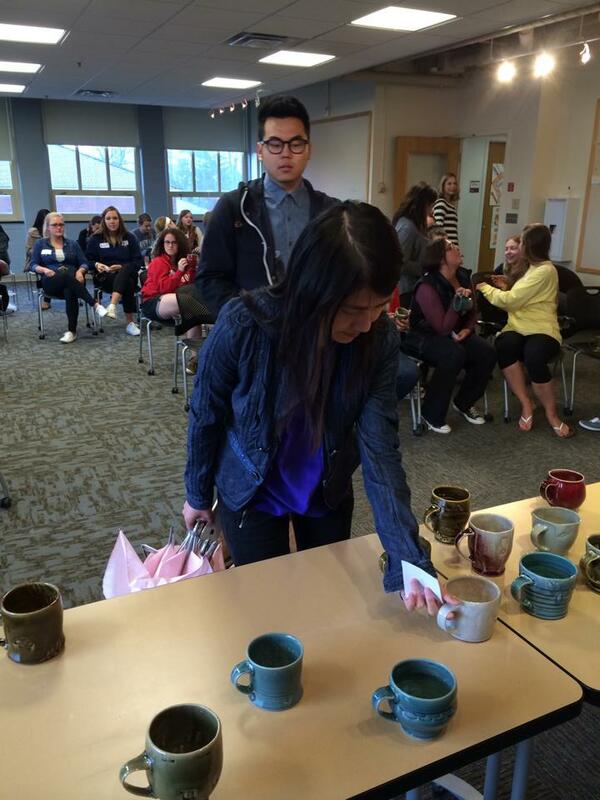 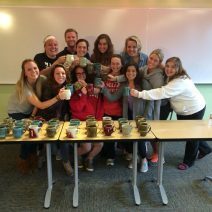 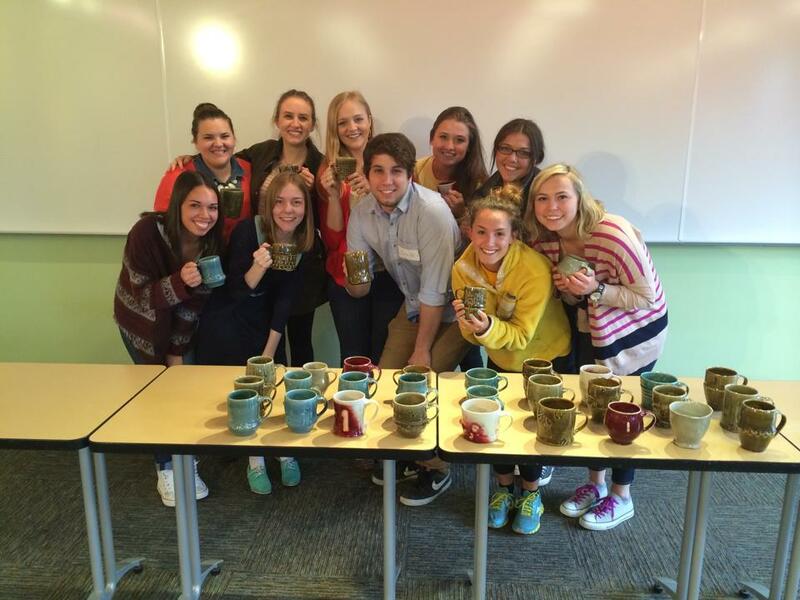 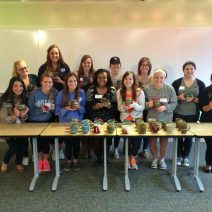 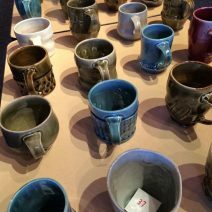 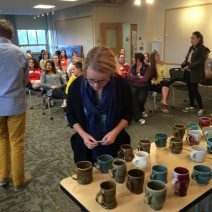 Graduate student Vanessa Graham made the hundred plus commissioned mugs. 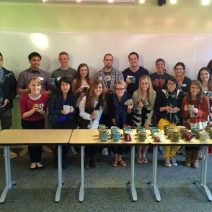 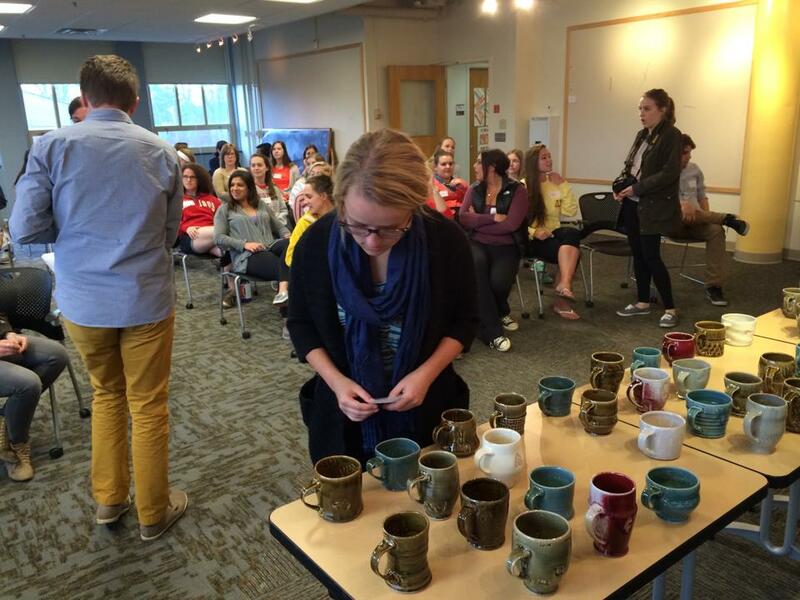 At our annual welcome party for new majors, each design major was matched to a mug using a random number system. 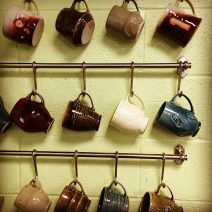 Faculty member Erin Beckloff installed mug racks in our studio space where each mug can live until the student graduates. 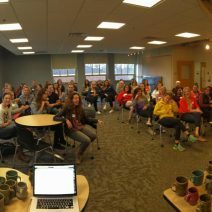 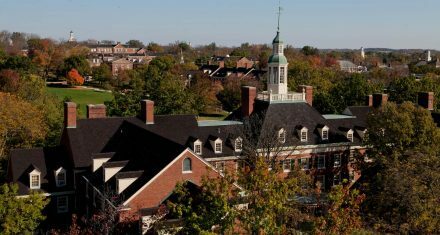 Welcome to our 20 new majors! 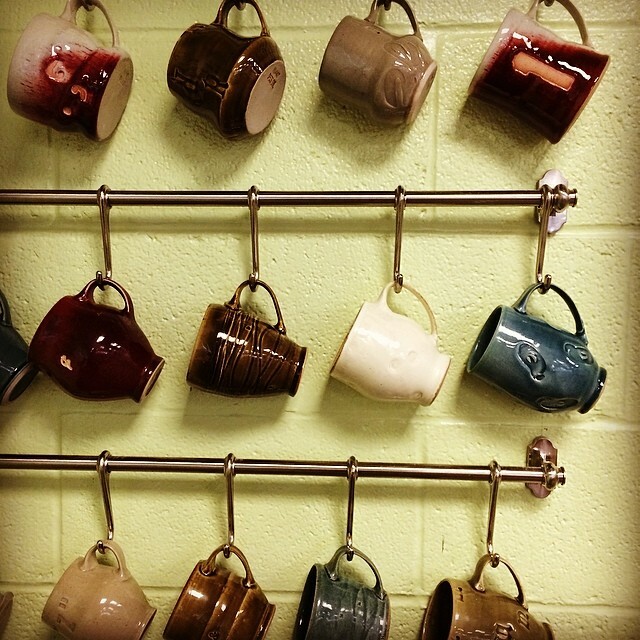 Here’s to many hours of coffee/tea consumption and happy making.